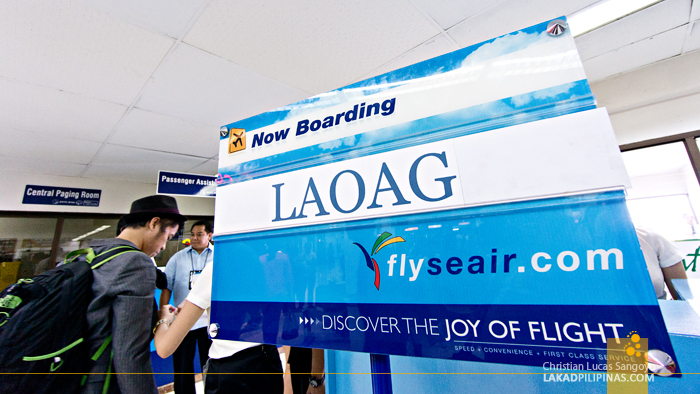 Recently SEAIR (South East Asian Airlines) announced that they would be opening a new route to the north of the Philippines. 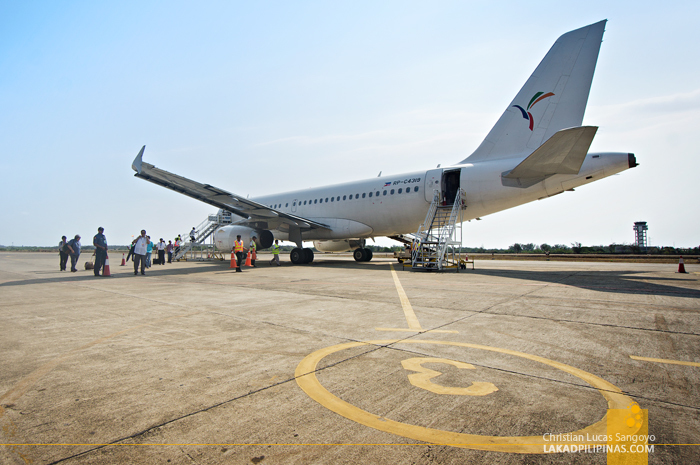 The said route would ply the Manila to Laoag airways and would finally open up the Ilocos Region to an alternative travel schedule. 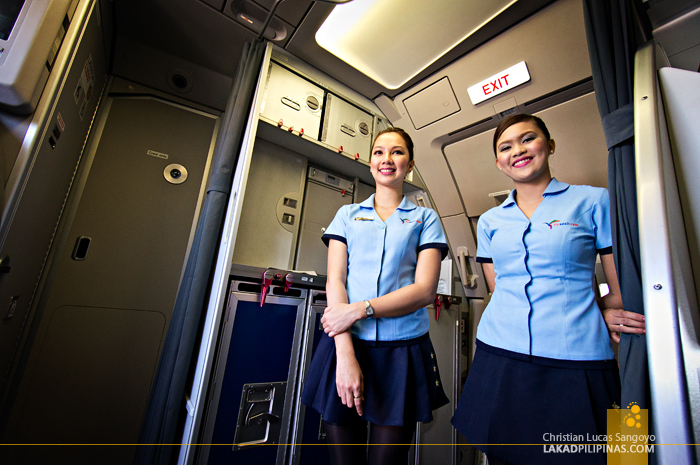 Together with a couple of travelers, I was invited by the airline to participate in the inaugural flight to Laoag City. I was still reeling from a hectic three-day trip to Japan the previous day, but I just couldn’t say no to this. Jetlagged, I repacked my backpack and headed towards Terminal 4 of NAIA where the SEAIR terminal is. Coming from a single-digit temperature of Tokyo, Manila’s heat seemed triple times as terrible as I last remembered it to be. I was just so relieved to enter the cool premises of the small airport after a five-minute walk from the streets (el cheapo me, not wanting to take a cab). Checking in and boarding was no problem. And it was also worth mentioning that the flight was not delayed, a small miracle considering the congestion of our airport runway. A few minutes later and we were soon soaring towards Ilocos Norte. 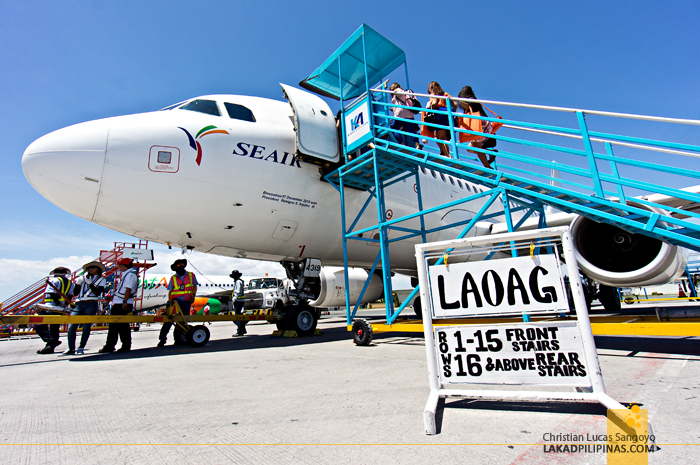 I have traveled with SEAIR before towards their now defunct Batanes route. And that flight opened my eyes to the aerial beauty that the north possesses. For the flight to Laoag City, I requested a window seat so I can take a few photos of the seemingly jigsaw-ish landscapes of the north. 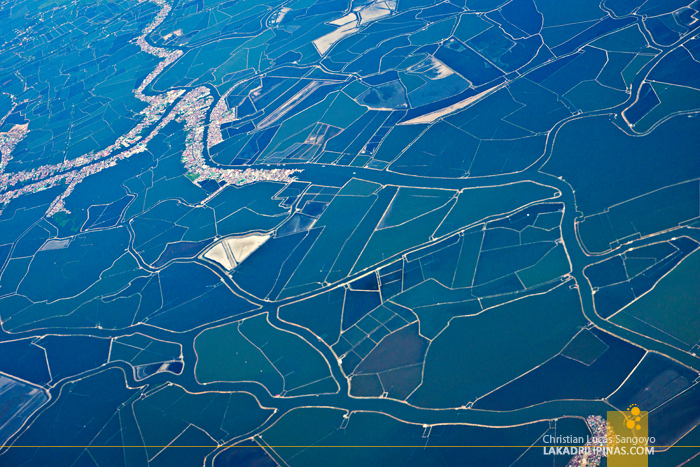 I’m actually unsure of what these patterns are, probably farmlands, but like my flight to Batanes, they all seemed filled with water. Other curious things to see while en route to Laoag were Mount Pinatubo, Mount Arayat and a very interesting aerial view of Baguio City. I was trying hard not to give in to sleep through the whole flight given my literally sleepless Japanese nights. But the spectacle was over too soon. After an hour or so, the seatbelt sign lighted up and our plane soon nosed down to Ilocos Norte’s tarmac. 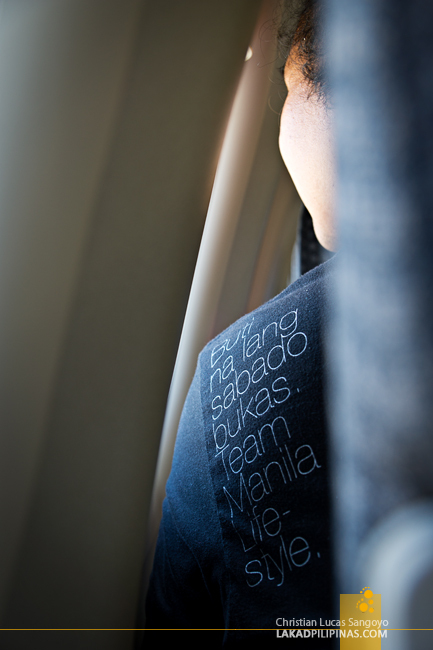 A blast of warm air greeted us as we disembarked, Manila’s sultry temperature paled in comparison to Laoag City’s. 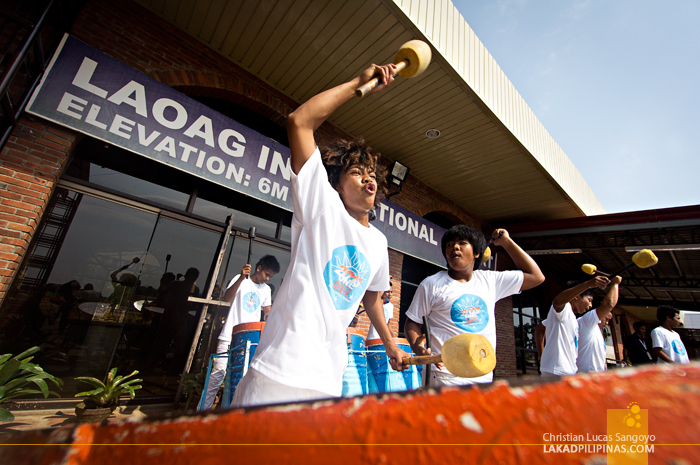 A flurry of drumbeats and banners welcomed us into Laoag’s brick-lined International Airport. Although their terminal is still partly under construction, I can see that they’ve put some thoughts on its design, heavily borrowing from their own very rich culture. I have been to Laoag City quite a number of times, either by bus or rented van. I usually depart at night and arrive at the place the next morning. Flights have been coming in to the city from Manila in recent years from other airlines, but they only have it at night, which is really quite a hassle since that’s already a whole day of exploring lost. But now, with SEAIR’s new route, a slew of possibilities have now opened up for travelers, especially those with very limited time, in the Ilocos Region. I think the 5th pic are the fishponds in Pampanga area. nadaanan ko di ito when our plane from gensan was circling over it. Nice! siyempre, ako na lang ata ang di pa nakakaapak ng ilocos. ang saklap lang. 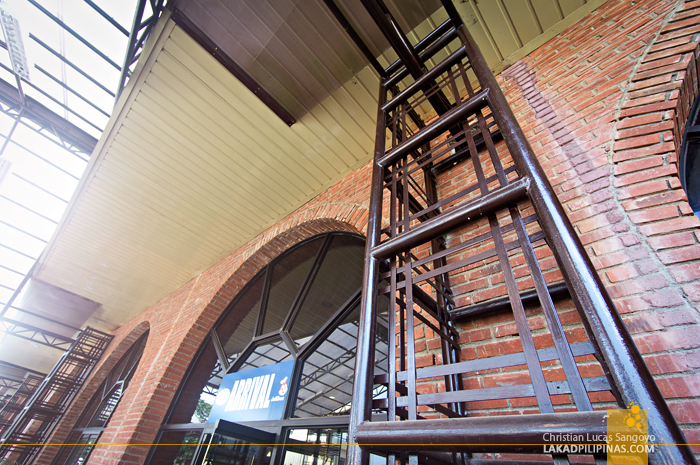 Our recent trip from Manila to Laoag was close to perfection except for the 10-hour bus ride. Your post gave us the chance to appreciate and consider air travel soon. putting this on my travel transpo idea list. 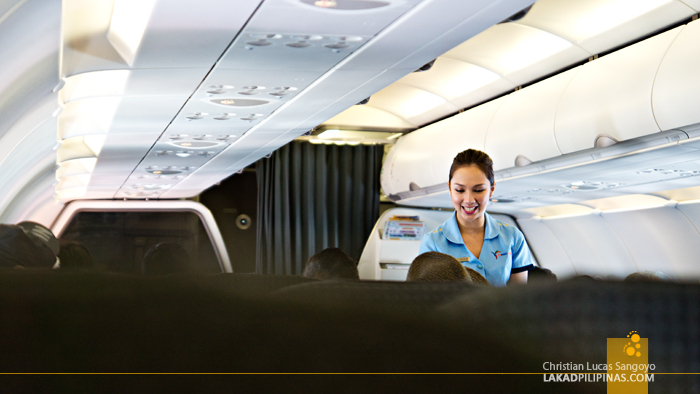 Will I miss anything on the road master christian if I travel by air to Laoag?